Amesbury, MA – RPF Environmental, Inc., an environmental health and safety (EH&S) consulting and testing firm, recently received certification through the Division of Capital Asset Management and Maintenance (DCAMM) for work with Massachusetts public agencies. Services include EH&S testing and consulting for construction, reconstruction, demolition, maintenance, or repair projects. 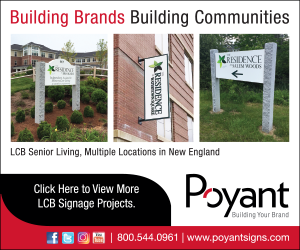 DCAMM is responsible for capital planning, public building construction, facilities management, and real estate services throughout the commonwealth of Massachusetts. The agency oversees the commonwealth’s capital assets, totaling over 65 million sf, and it manages over $2 billion in projects. DCAMM works with state agencies on the full cycle of their strategic facility needs. Examples of projects to be completed by RPF Environmental include hazardous materials surveys prior to renovation or demolition activity, indoor air quality assessments, mold contamination assistance, EH&S training, and occupational related exposure testing and laboratory analysis. For public schools, RPF will provide EPA Asbestos AHERA compliance services, reinspections, management plans, and related testing. RPF Environmental, Inc. provides services throughout New England. In addition, the RPF professional development group provides corporate health and safety training programs for clients throughout New England.